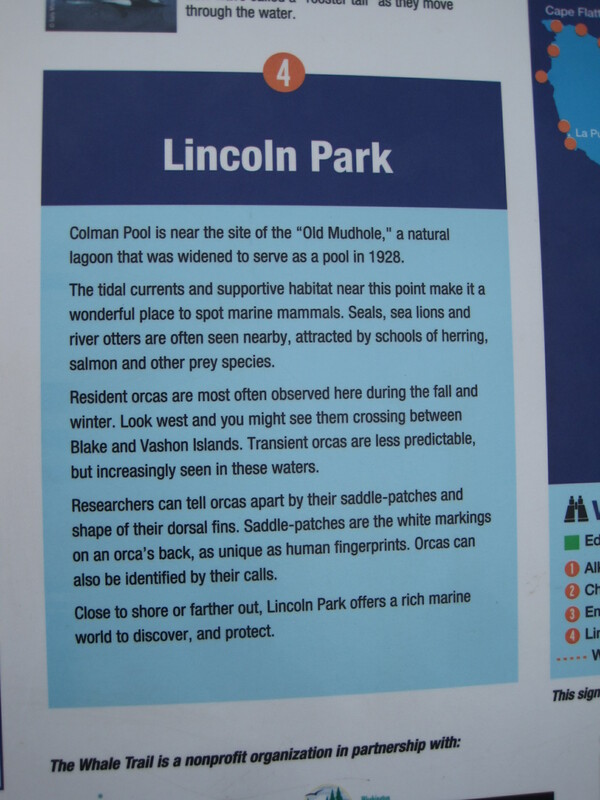 Lincoln Park, a large forested city park that faces upon the Puget Sound, is our next stop (#3) on the Alki History Trail. Specifically Williams Point where Coleman Pool stands. This name referred to the thick brush that covered the small lagoon. Indigenous place names were very practical in their descriptions of Alki’s geography. Coleman pool was built in 1941 and donated to the city by the Coleman Family who were one of the first families to settle in the Fauntleroy area. This was after the WPA, CWA and CCC’s helped develop Lincoln Park in the 1930s by clearing underbrush, building trails, seawalls, playgrounds and tennis courts. This lovely rare salt water pool still exists 75 years later. Here is a sign posted by the Whale Trail group. It tells a little bit of the history around the area and the whales that pass by. 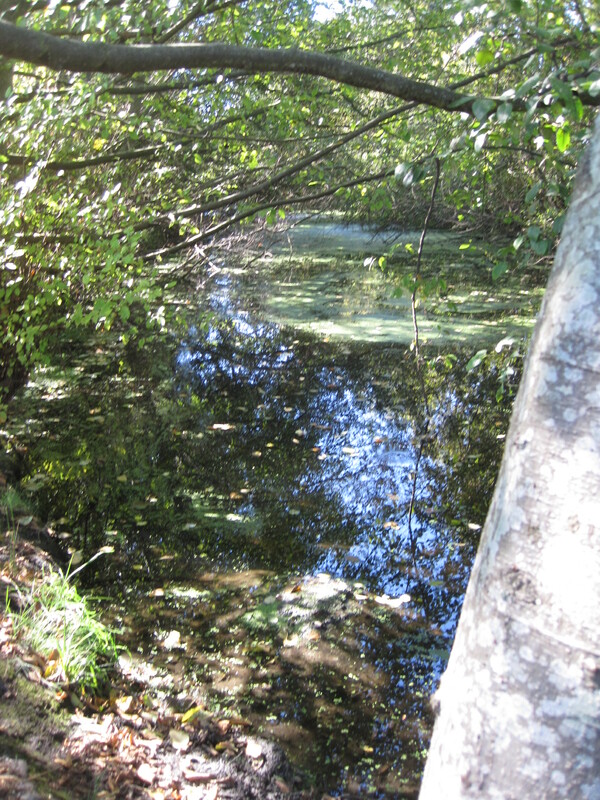 Historically, the area was used by the Native Americans and where the pool stands was a natural tide pool swimming hole. The Southwest Historical Society has some information about the area that gives you some more color to the area. Native Americans appreciated and used Fauntleroy Cove well before white pioneers arrived. A 1915 excavation to widen Fauntleroy Way uncovered evidence of an ancient Native American burial ground near where Fauntleroy Creek flows into Puget Sound. Local residents have found middens of clamshells indicating that Fauntleroy Cove had been a Native American clamming and fishing site into the 19th Century. At a very low tide one can still see what Native Americans call a ‘spirit boulder’ south of the ferry dock. Native Americans claim that the boulder, Psai-Yah-hus, is the dormant spirit that lives underground and caused landslides and earthquakes. The boulder, slides and quakes are still with us. The Native Americans have long since been gone from the cove. The mention of the burial grounds near where the creek flows into the sound helps you understand more about why they called the bluff “It has Scorched Face on it” (#2 stop on the Alki History Trail). Until I did this research I thought it was the color of the bluff that we cannot see but now I think it was the ashes on mourners faces. Another set of clues are here in this quote about the red spirit boulder I can’t seem to find. It is only visible at “Very” low tide. It also talks about how the spirit causes landslides and earthquakes. Yikes!! Do I really want to find this special place? To give you an idea of what the natural salt water pool surrounded by brush might have looked like, while at Discovery Park I took this photo of a tidal pool surrounded by brush. Crowded Head does explain this look don’t you think? To make this story complete I have to share the two bird encounters along the way to Coleman pool. 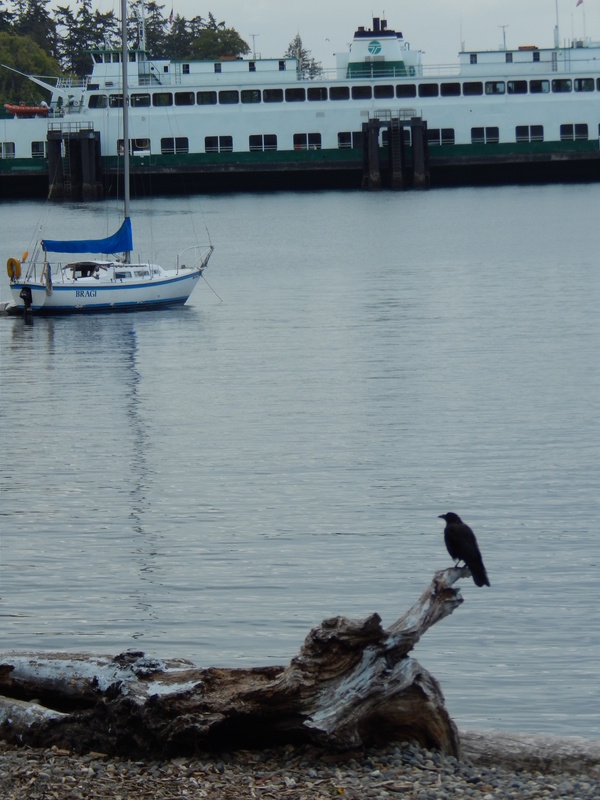 First one of my crow family on the driftwood with the Vashon Ferry in the background. 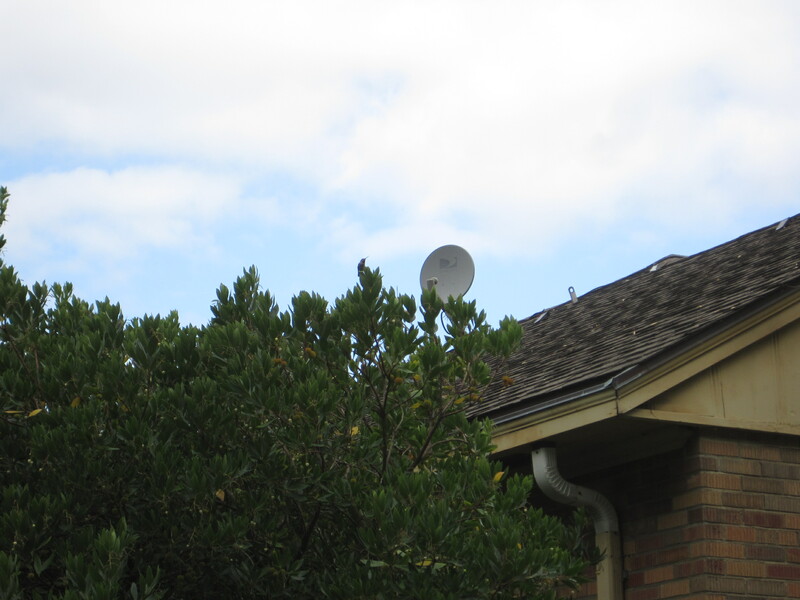 The second is a little Anna Hummingbird in the bushes next to the pool building.